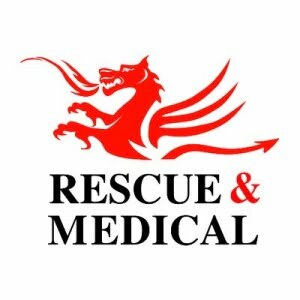 Product designed specifically for USAR (Urban Search and Rescue) it has a half Simplex Backpack system that stows to maintain the smooth exterior, allowing for the pack to be dragged through confined spaces. 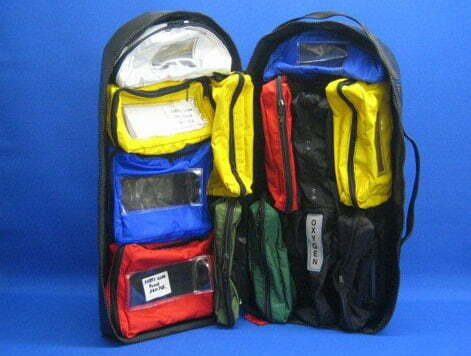 The interior is fully organised with detachable colour coded windowed pouches, oxygen module and collar insert. The Pack is manufactured in a wipe clean material, complete with drain hole at the base. This Bergen is made with a flat front with SR Buckles for attaching Modules. All the Modules are fully organised. This System splits down and can be stowed in the Helicopter Storage Box in the rear of the aircraft. 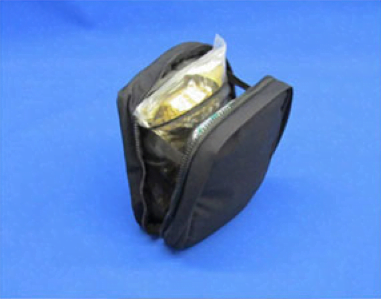 Side pouches are detachable for storage or independent use. 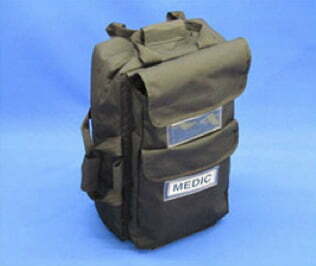 Manufactured in Cordura, a fully organised Medical Bergen with detachable side pouches for personal kit. 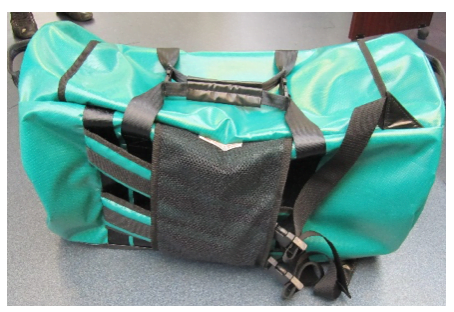 This Bergen has removable Modules suitable for Foot Patrol Paramedics. 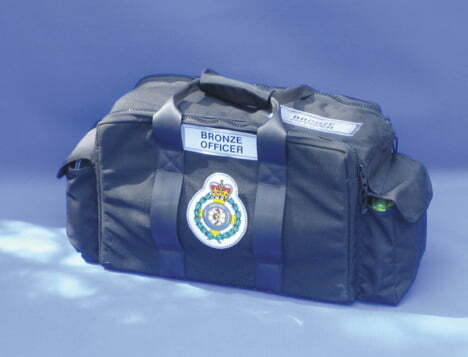 As used by London Ambulance Service NHS Trust at Events. 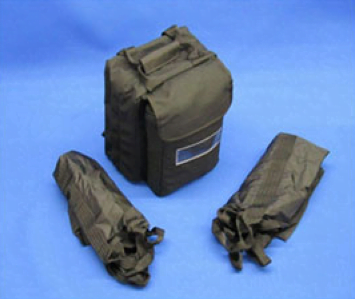 Ballistic Cordura Pack complete with foldaway Backpack, side and top grab handles. There is a long front collar pocket and document pocket, the lightweight carry sheet can be carried folded in the front pocket. 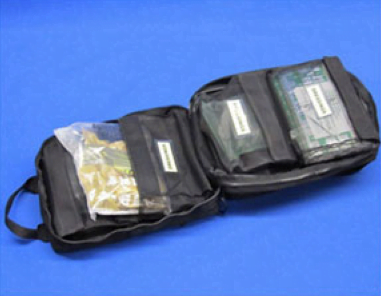 Inside fully organised removable mesh pouches with light emitting labels, CD oxygen insert or CD Oxygen Sling. This makes a very useful narrow and compact Response Pack. Also available with colour coded windowed pouches. 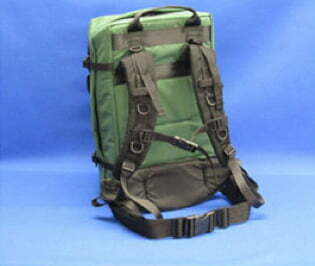 A Ballistic Cordura Pack similar to the CD Chameleon, with long front collar pocket and front document pocket. 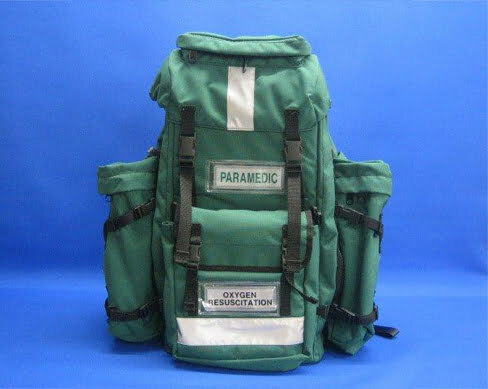 This pack has a full Simplex Bergen back complete with Lumbar pad, waist harness and side compression straps. 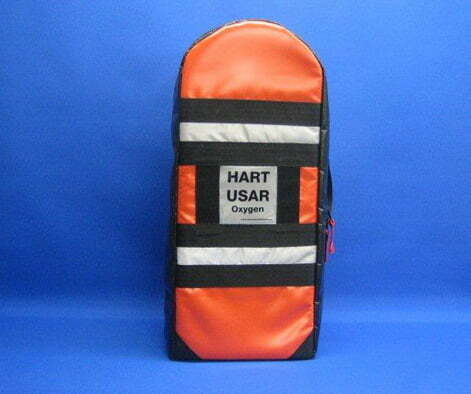 Available with lightweight mesh pouches or colour coded windowed pouches.It will also carry a CD oxygen sling. A very compact and comfortable backpack. Heavy duty Commanders bag in Vinyl. The front has extended webbing loops for seat belt retention within vehicles. 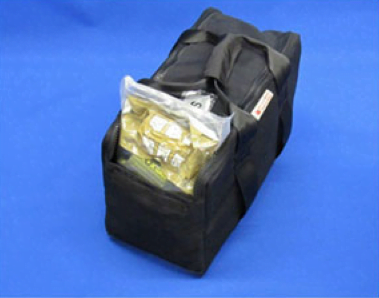 The exterior has removable chemical resistant skid sheet, top grab handles and ID sleeves to the front of the bag. Twin zip opening lid for easy access. The interior is partitioned for documentation, pens, phones, radios etc. The centre section is padded to protect cameras, recording equipment etc. Crests and logos to order. A small rapidly deployed POMS systems. 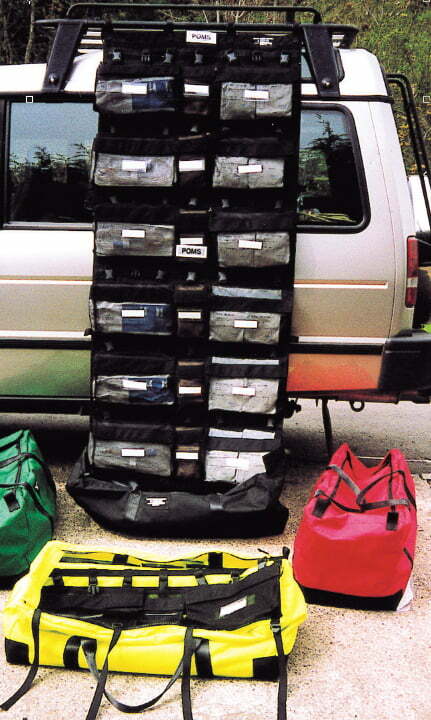 Single sided organised system with detachable pouches that folds out of a storage bag. It also has a quick snap hook on the top strap and top & side webbings. 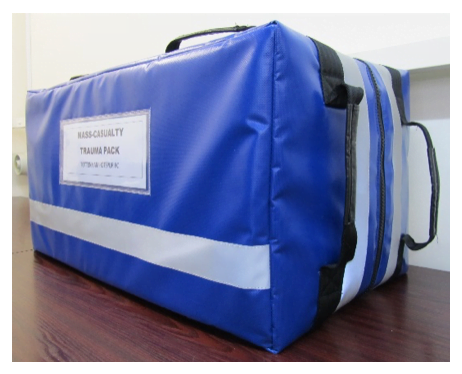 The transport bag can be used for discarded packaging, sharps boxes etc. The panel can be rapidly folded back into its bag and moved to the next operation. Can be colour coded. 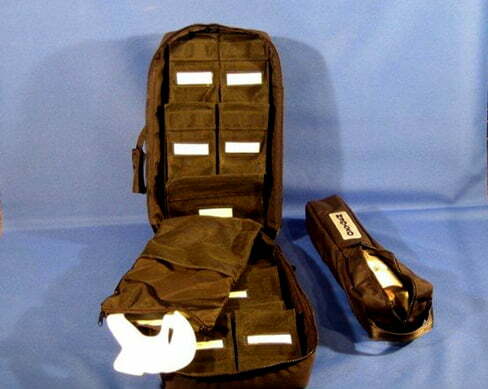 Ballistic Cordura Leg Bag, with square link belt attachment for rapid removal & leg strap. Full zip opening with clam retention straps to stop the pack opening fully. 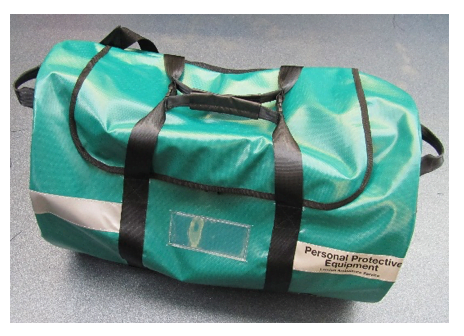 Inside there are two fixed mesh pouches to hold two full “trauma Dressing Packs”, airways, nasal, Ashermans’s etc. 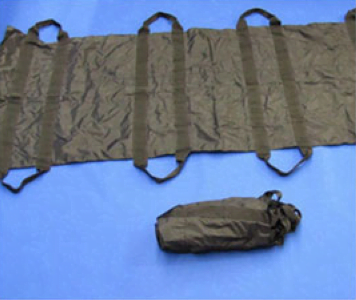 Ballistic Cordura with foldaway backpack, top grab handles and front pocket to hold two Rescue & Medical lightweight carry sheets. 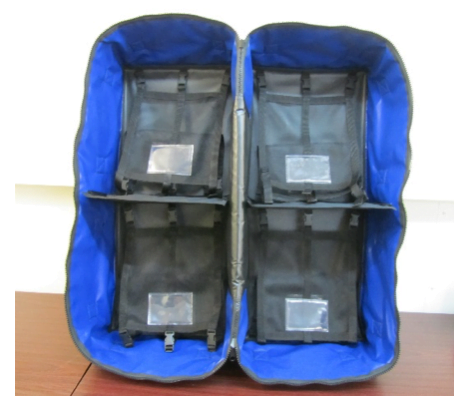 Inside there are four detachable mesh pouches with light emitting labels for night recognition. 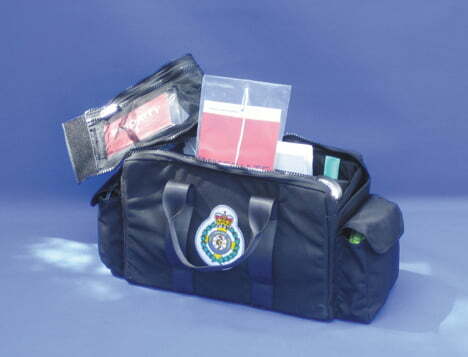 Each pouch will hold one full Trauma Dressing Pack or Airway management Equipment, fluids etc. Heavy duty Carry / Drag Sheet complete with pole apertures and eight grab handles. This rolls up very compactly so that two can be carried in the front pocket of a P O Chameleon. If folded flat it can be carried in the front pocket of a CD Chameleon. 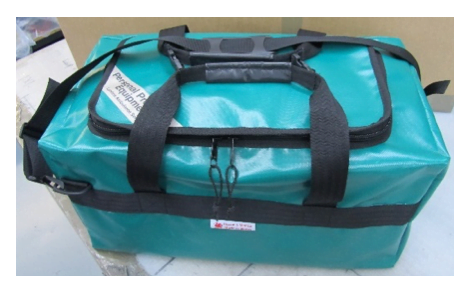 Tough Cordura carry bag with waterproof skid sheet and a full width top zip opening flap. 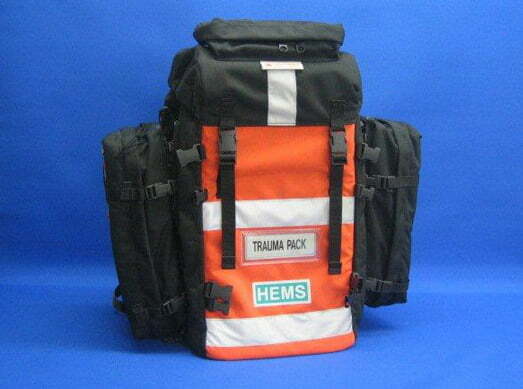 It will hold 12 pre-filled Trauma Dressing Packs and has vehicle attachment side loops. 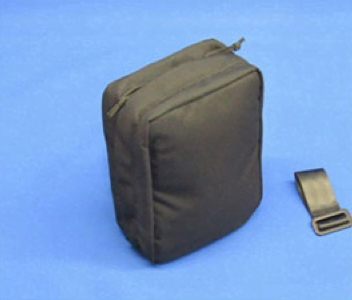 This is used as a backup bag for the PO Chameleon and the PO Leg Bag. 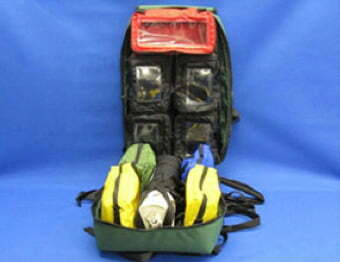 Personnel equipment bag with fully foldaway padded backpack. The bag is manufactured in wipe clean heavy duty viny. There is a large top opening zip, a top handle and mesh pouches inside. 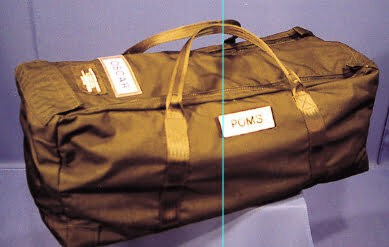 Small Equipment Bag, as above, but without the backpack. Large zip opening holdall both wipe clean and Velcro free. 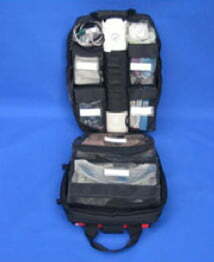 There are eight carry handles and four large internal sections with mesh retainers for dressings packs, tourniquets etc. 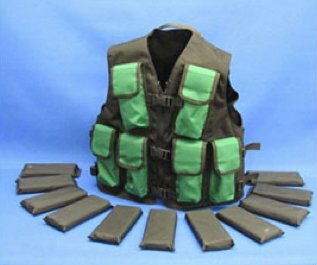 Robust Cordura Load Bearing Vest with detachable weights that are held in flapped pouches; this allows the weights to be removed for fitting and cleaning. The rear lifting handle and full side adjustment also aids fitting. Ideal for fitness training. Maximum weight 40Kg.